What is the role of the individual school 'subject' and 'subject teacher' within school? Is it to teach a set of core subject knowledge, skills and understanding in way that remains faithful to long-standing subject cultures and pedagogies? Or is there another way to consider how the curriculum, and the notion of individual subjects and teachers' pedagogy, could be constructed. Working from the key principle that there is no curriculum development without teacher development, Cross-Curricular Teaching and Learning in the Secondary School argues for a new, skilful pedagogy which embeds an authentic, cross-curricular approach to teaching and learning in the work of the individual teacher. This approach respects and builds on individual subject cultures, embracing and exploring links between subject knowledge and subject pedagogies in an enriching way. 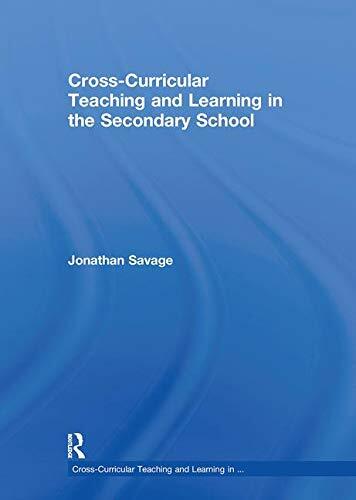 This timely textbook is essential reading for all students on Initial Teacher Training courses and PGCE courses as well as practising teachers looking to holistically introduce cross-curricular themes and practices in their own subjects. Jonathan Savage is a Reader in Education at the Institute of Education, Manchester Metropolitan University and Managing Director of UCan.tv. His research interests include implementing new technologies in education, cross-curricular approaches to teaching and learning, supporting gifted and talented students, creativity and assessment.